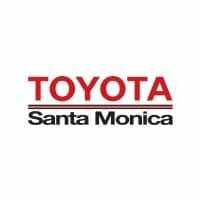 It’s the best time of the year for your tires at Toyota Santa Monica as the Toyota Tire Event is on now! One of the most exciting Toyota Specials, the Toyota Tire Event is offered exclusively from April 1 until April 30, letting you save big time! There’s no tire special that can beat this one for nearby Beverly Hills drivers, so make sure you bring your vehicle into Toyota Santa Monica today! A Toyota engine will last you many years, but it’s in the nature of tires that they need to be replaced more frequently. That’s why the Toyota Tire Special is adored by so many of our customers. When you purchase three tires, you’ll receive the fourth tire for one dollar. That’s right—there are no tricks, just a whopping discount on what you need to keep your car running for thousands of more miles. You’ll receive the tires designed for your vehicle, not a cheaper alternative. Having healthy tires not only means you’ll be safer on the road with tougher tread, but you’ll also see improvements in fuel efficiency — leading to even more savings. It’s a win for everybody, so get your wheels turning through the month of April to take advantage of this deep discount! Our state-of-the-art service center is staffed by friendly and knowledgeable experts who take great care of each and every vehicle that comes through our facilities. We carry many OEM parts so that we can perform quality repairs on your vehicle efficiently, and we also offer other great deals in addition to the tire special to get your vehicle in its best condition today! Visit us at Toyota Santa Monica to replace your tires and take advantage of this annual special today! Our showroom is located at 801 Santa Monica Blvd., where we serve drivers throughout the greater Santa Monica area at our service center. Schedule your service online, or give us a call at 424-291-4577. We look forward to getting your Toyota on the road in top shape today!